Mix: Will include random assorted stones; for example any of the following: Amethyst, Chrysacolla, Obsidian, Petrified Wood, Amazonite, Fluorite, Rose Quartz, Smoky Quartz, Calcites, Topaz, Jaspers, Agates, Sodalite, Mica, Labradorite, Crystals, Apatite, Citrine, Pyrite and more! This is a dirt mix mined locally at the Thermal City Gold Mine. 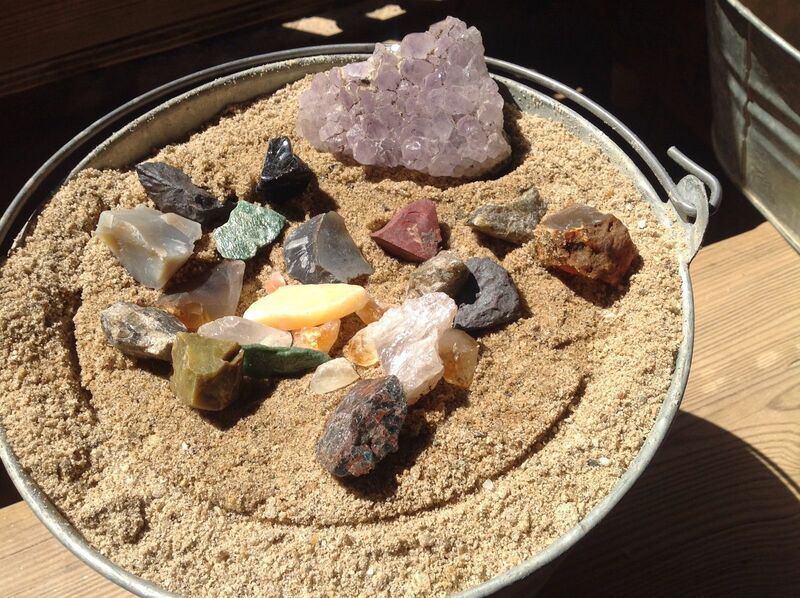 You may or may not find naturally occurring gold nugget, ruby, emerald, citrine, sapphire and garnet. However, we do additionally “salt” these buckets to ensure a Happy and Rewarding Mining Experience every time! Have a Great Day and Happy Mining! 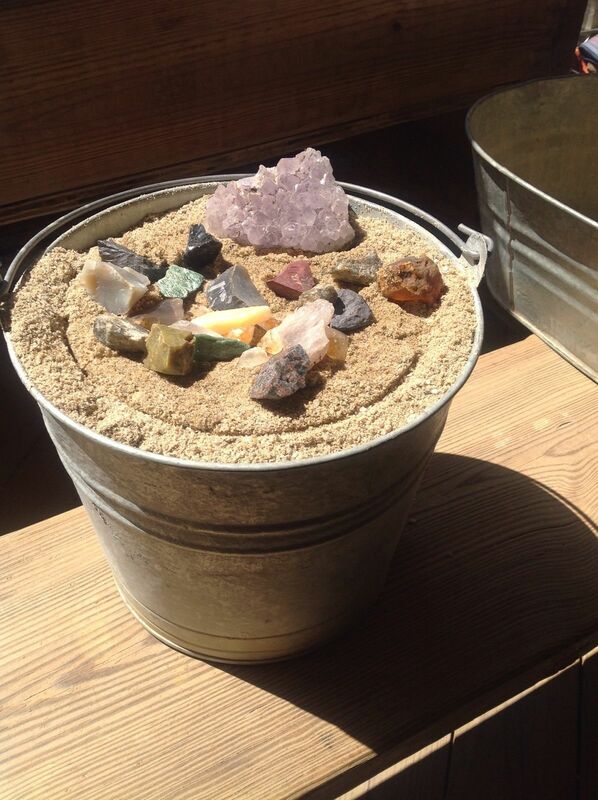 Weighing approximately 25 pounds, this dirt is ready for you to sift through and discover many of the rare and valuable gems pictured below! The pictures below are samples only of what you may find. Satisfaction is GUARANTEED! You and your family will thoroughly enjoy the experience of gem mining at home just like here at our Gem Mine in Chimney Rock, North Carolina. Shipping costs are for the actual weight of the dirt itself and does not include the heavy metal bucket. Gem dirt is shipped in a plastic bag for your convenience. We ship direct from our mine daily. Our Gemdirt is shipped via USPS Priority Flat Rate Boxes only and typically arrives within 3 – 5 days after payment is received.